Edit Junk Contacts. Auto-hint and fields prepopulation. 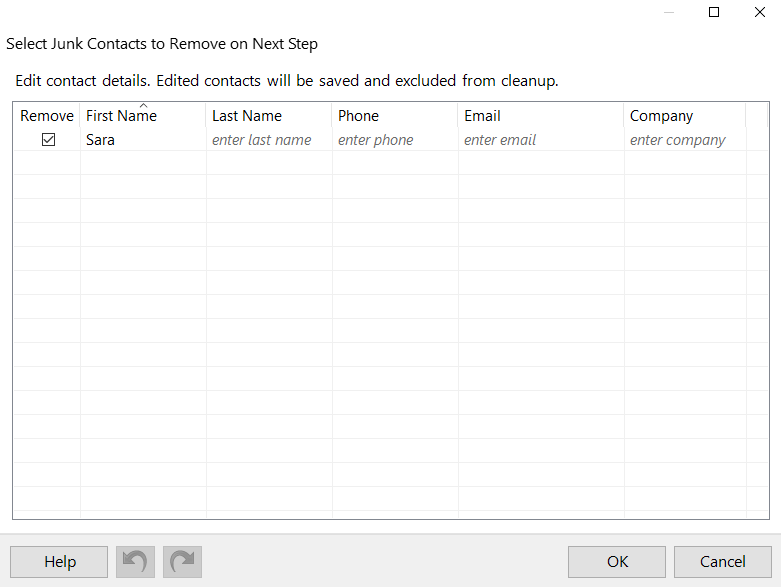 You are able to edit the found Junk Contacts.